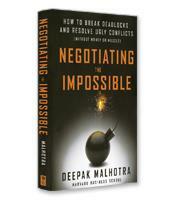 In Negotiating the Impossible, Harvard professor and negotiation adviser Deepak Malhotra shows how to defuse even the most potentially explosive situations and to find success when things seem impossible. As Malhotra reminds us, regardless of the context or which issues are on the table, negotiation is always, fundamentally, about human interaction. No matter how high the stakes or how protracted the dispute, the object of negotiation is to engage with other human beings in a way that leads to better understandings and agreements. 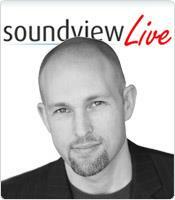 The principles and strategies in this book will help you do this more effectively in every situation. Three crucial levers for successful negotiation. Why and how to frame, or make sense of, negotiations early. Why the process of negotiations is just as important as the substance. How learning to empathize will increase your chances of success.